Tidal flats develop in the interface between land and sea, which is one of the most productive ecosystems on the earth, since ample nutrients and various materials are provided from both the land and sea. On the tidal flats, a variety of plants and animals occur abundantly, and we have exploited them as food resources and enjoyed their beauty. 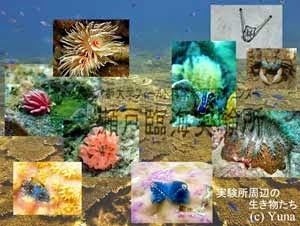 However, we do not yet fully understand the nature of the valuable and productive ecosystem, although we have recently modified the topography of the coastal areas with the tidal flats in large scale to develop our society. This symposium provides an opportunity to present the recent results of various biological and ecological studies on the tidal flats in Korea and Japan, to exchange and share the information from these studies, and improve our understanding of the ecosystem of the tidal flats. It is a great pleasure for me, on behalf of the Korean Association of Benthology, to welcome you all to the Korea–Japan Joint Symposium on Biology of Tidal Flats 2009, which is being held in Suncheon, Korea. This symposium is especially significant, because it is the first time biologists studying tidal flats in Korea and Japan are meeting officially and doing research together through field trips. It was co-organized by the Korean and Japanese Associations of Benthology. We have received expressions of interest from about 200 tidal flat scientists to participate in the symposium. Altogether, 5 plenary lectures, 17 oral presentations and 45 posters will be presented during the symposium. The topics include diverse aspects of research on ecology, physiology and taxonomy of the tidal flat animals, but also restoration and even meiobenthos of the Korean and Japanese tidal flats. However, this symposium would not have been possible without financial aid from the City of Suncheon. shrimp and fish. The huge tidal flat surrounded by Suncheon Bay with a beautiful landscape of circular reed marshes is well known on a worldwide basis and designated as a RAMSAR wetlands site of international importance in 2006. Right after the symposium, as you have already been informed, two full day field trips are organized and I hope their biological treasures concealed in the mud and salt marshes well-developed in Suncheon Bay will be discovered during this unusual event made possible by the research collaboration of Japanese and Korean experts together. Next year, another small post-symposium meeting is also being planned to finalize the survey report on the fauna and flora in Suncheon Bay based on these field trips and further announcements will be posted through the Korean and Japanese Associations of Benthology. It is also a special pleasure for me to acknowledge the work of many of our colleagues, which made this symposium a success. I am especially grateful to Professor Furota, the President of the Japanese Association of Benthology and Professor Tsutsumi, the Secretary General of the Japanese Association, but also to the Korean organizing committee who were responsible for this symposium and have worked very hard. Finally, I hope that the symposium will be scientifically successful and that you will meet many new colleagues and explore Korean foods and cultures but also, since we are in swine flu outbreak this year, you will take good care of your health.